With the BSNL CMD Kuldeep Goyal recently announcing that BSNL’s infrastructure to support Mobile Number Portability (MNP) is ready and testing on the gateway is in progress, the deadline of October 31st for MNP to be rolled-out in India seems all set to be met after several earlier postponements. MNP when rolled out would unleash the real price war, as the cushion that existed for operators once they acquired a new customer no longer exists. In an extremely price sensitive market like India, Mobile Number Portability ensures that mediocrity is no longer an option and we already have portals like www.changemynetwork.com that allow mobile users to make an informed choice based on their usage will only help mobile users facilitate their transition to a more cost-effective network. MNP is a service that enables mobile users to switch between mobile operators in the same licensed service area without having to change their phone numbers. A licensed service area in most cases is equivalent to a state. This enables mobile users to gain the benefits of competition via increased choice and more compelling retention strategies. The Telecom Regulatory Authority of India (TRAI) has fixed a one-time rate of Rs. 19 for availing of a number porting service. However it mandates the frequency of porting so that mobile users do not misuse the service provided. While Mobile Number Portability has existed in countries such as the U.K, Germany, Hong Kong and the Unites States since the turn of this century it has been introduced more recently in other South East Asian countries such as Singapore and Taiwan. MNP was also introduced in Pakistan in 2007. Some of the factors that determine the success of MNP in a country are the penetration of mobiles, the number of mobile network operators operating in a zone, the time taken for a number port and the cost that is charged onto a customer for a number port. According to a survey done by Keynote Institutional research and Frost and Sullivan, MNP has worked well in South Korea and Hong Kong and has proven ineffective in Taiwan, Singapore and Japan. As network operators begin to focus on holistic customer retention strategies MNP guarantees a win–win situation for the mobile customer. Though teething problems are bound to exist initially when any major technology overhaul occurs and an era of lock-ins and contracts begin to emerge in the post-paid segment, it is evident that the pre-paid customer at the bottom of the pyramid will clearly be the winner. Consumers that are likely to change their service providers are those opting for the best promotions and the lowest pricing of the latest services on offer in the market which is a major characteristic of prepaid users. In a country like India where more than 90% of the subscribers are prepaid users, the bulk of the churn in subscribers will be contributed to by this segment. The challenge as in most cases with this segment is to effectively be able to reach out and evangelize about a service like Number Portability. At ChangeMyNetwork our experience has been very different. 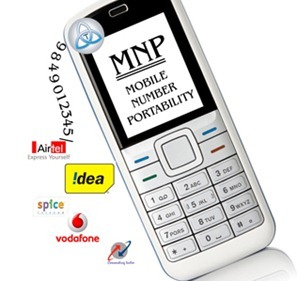 Though there have been a lot of reports that suggest Mobile Number Portability is an urban, post-paid concept, it is a fallacy to expect only metros and post-paid customers to use MNP. well. I m happy to see dreams coming to reality finally!! Good to see such enlightening articles on how the TRAI is functioning. Please come up with more articles which are useful to public as you being from a Publich Strategy Firm. irst thanks to Mr. Venkat and http://www.changemynetwork.com for delivering a master piece.I advice the govt to stop the melodrama w.r.t to MNP and bring into effect immediately even if few carriers are not ready by cancelling their licenses just like RBI did with insurance companies when they couldn’t meet the deadlines set up for them due to various reasons.There by giving the mobile users the edge over Carriers. good article. Why i dont know the government is not taking steps to bring it into force. btw whats the frequency of porting recommended by TRAI to avoid misuse?